Nhan, who emigrated from Vietnam with his mother in 2010, was one of 20 students accepted to participate in the Saint Mary’s College of California Math Camp for Gifted Students in 2012. 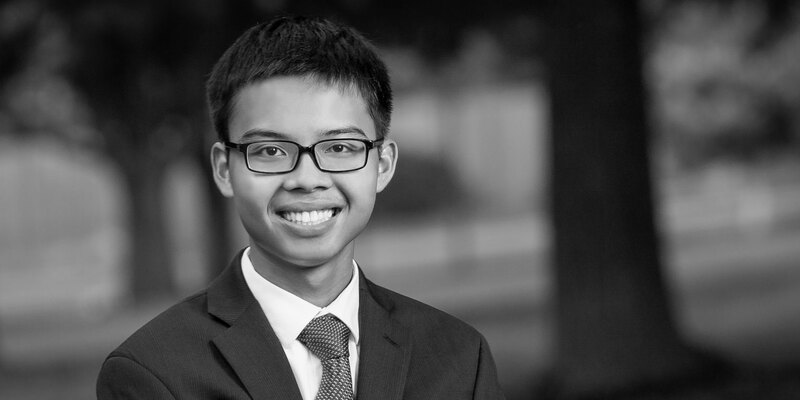 Taking every opportunity to improve his communication skills, including a role in the sales group while interning at Oppenheimer Funds, Inc., Nhan relentlessly overcame his stutter. As captain of his Robotics team and director of the Student Tutoring Program, he graduated in the top 1% of his graduating high school class.